Even if you have tons of money, Ferrari might still say no to your cash if they deem that you "do not deserve" a special edition Ferrari. 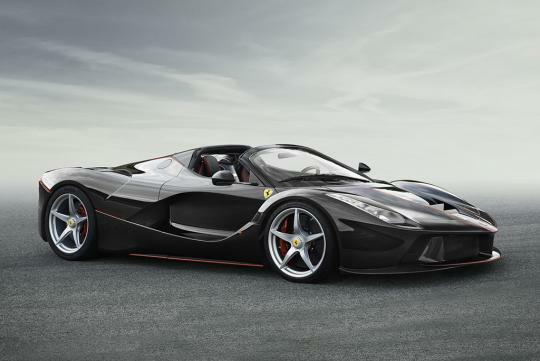 According to Australian website Drive, Enrico Galliera, who is also the company's Chief Marketing and Commercial Officer, is the man who decideds who is allowed to buy a limited edition model like the latest LaFerrari Aperta. The hypercar, who is only limited 200 units worldwide, was presented to these 200 specially selected customers ahead of its reveal. They were then asked whether they want to purchase it without even knowing how it looks like. Not surprisingly, every approached customer said yes. Galliera also revealed that he receives applications from people who "do not deserve" a special edition Ferrari and these include kings from countries around the world. Rejecting these people can be very tough, especially if they had been "very good Ferrari customers." What about employees? Sadly, employees are not allowed to get a unit unless they are Ferrari Formula One drivers. This would prevent customers from accusing the company of giving priority to its employees as the customers are expected to wait very long till their car is delivered. Brunei Sultan sure get 1.